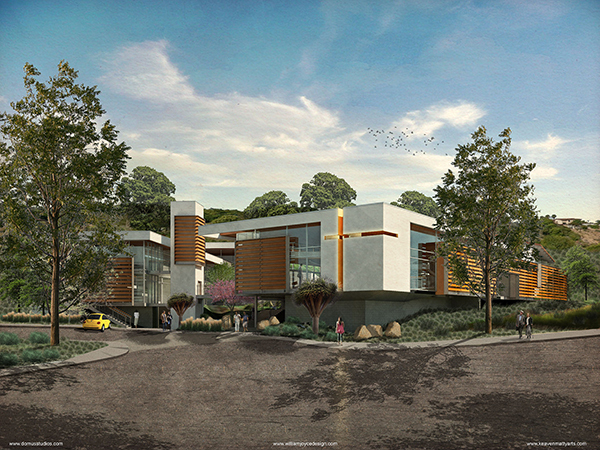 domusstudio architecture has completed a new master plan design for Gloria Dei Lutheran Church in Dana Point. Plans call for a new sanctuary, preschool, administrative offices and gym/fellowship hall along with exterior social gathering places at the existing property located at 33501 Stonehill Drive. The new complex will re-purpose the church’s first building that was dedicated in 1966, which will be renovated into meeting rooms. Space below the old sanctuary will be remodeled for a choir room and a youth room while the prior fellowship hall built in 1984 will be replaced. 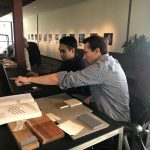 “With direction from the building committee, we created a contemporary-style open campus concept that will equip Gloria Dei with a new ministry space to reach future generations,” said Domusstudio Senior Associate, David Keitel. With a central plaza and courtyard accented by a water feature, outdoor seating and landscaped areas, the church will now have space for congregating outdoors to encourage social ministries. According to Keitel, new features such as doors at the rear of the sanctuary that open to an expansive deck, will literally break down the barriers of a traditional church. 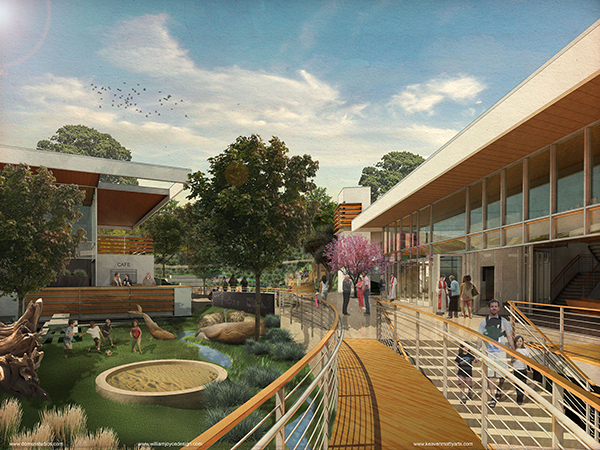 The design utilizes wood and glass to accent the concrete exteriors along with changes in floor elevations to naturally blend with the sloped site. The new buildings have also been designed to form a “Cross” element using the architecture rather than applying something to it. The symbol will make the church recognizable as a place for worship and education in the community. 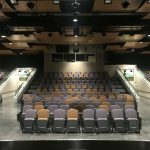 While the modern design has been called “too modern” by some church members, Pastor Mattson said he believes it will help the church with its purpose. The new design is anticipated to be complete in 2015 for the 50th anniversary of the church. 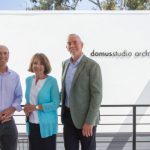 Domusstudio Architecture has been recognized nationally for its designs of sacred facilities by the Interfaith Forum on Religions; AIA’s Interfaith Forum on Religion, Art and Architecture, which awarded it a Millennium Award, and by the Commercial Builders Council.